As more and more interactive technology finds its way into the cars we drive, the probability of becoming distracted while driving grows. When you couple this change with the habit of some drivers to focus on anything but the road, you create an alarmingly high number of distracted drivers. 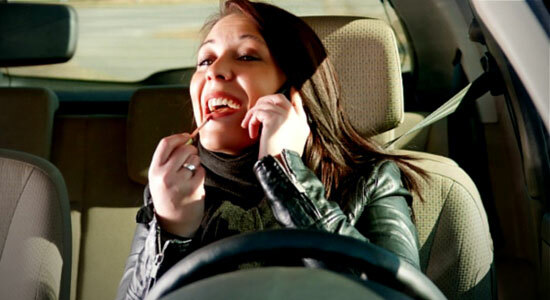 It's estimated that distracted drivers injure approximately 421,000 people annually in the U.S. Even more concerning is that drivers in their 20s make up nearly 27% of distracted drivers in fatal crashes. You might be wondering what constitutes distracted driving. Surely it can't be something as simple as holding a conversation with your passenger, right? Many activities can distract a driver from keeping his or her attention on the road. It's in these moments when you aren't physically or mentally ready that accidents can occur. Many states, including Pennsylvania, have passed laws prohibiting texting and driving. However, that doesn't stop some people from engaging in this dangerous activity. Texting while driving requires manual, visual, and cognitive functions – all three of which create distraction on their own. Texting is the most distracting activity in which you can participate. At any time of day in the United Sates, approximately 660,000 people are using their phone while driving. This removes their attention from the road and putting others at risk. In fact, the average time you look at your phone for a text message is approximately 5 seconds. If you're traveling at 55 mph, by the time you've looked at your phone for 5 seconds, you've covered the length of a football field. This issue has become even more dangerous to drivers than drinking and driving. An individual is 23 times more likely to cause an accident because they were texting and driving. Don't become a statistic. Put down the phone. Every day, we see the devastation that negligence and distraction can cause. If you're injured in a car accident, you could be out of work for months and stuck under a mounting pile of medical bills. We can help. Contact our law firm for a free legal consultation. We can answer your questions and determine the best course of action for you. There's never an obligation when you call. Just legal help when you need it most. We're standing by 24/7, so don't hesitate to call us any time.